Natasha Chadwick has been named the 2019 ­Telstra Queensland Business Woman of the Year. Her business, NewDirection Care, also took out the Telstra Queensland Medium and Large Business Award for the World’s First Microtown™, located in Bellmere, Queensland. In this Q&A, Natasha shares how the idea for NewDirection Care came about and some of the hurdles she has overcome on her journey to success. 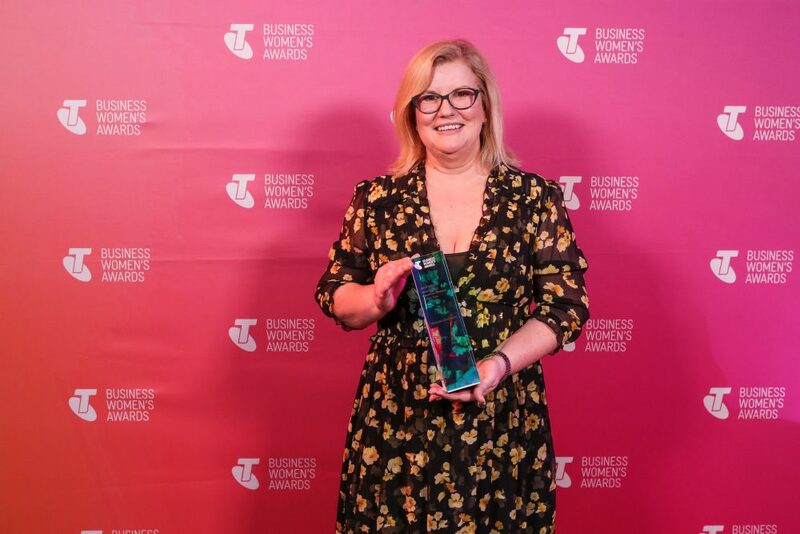 Congratulations on being named 2019 ­Telstra Queensland Business Woman of the Year! What does winning this award mean for you? The win means a lot as it recognises what we have done at NewDirection Care to improve the lives of the people that live in our inclusive microtown. It also demonstrates that change and innovation while not easy is achievable even in the current environment. This award also provides me with an additional platform to promote the good work we do in aged care and bring light to the fact that we still have some way to go – as a society we need to rethink the way that both aged and dementia care is delivered so that older Australians and people living with dementia can continue to live meaningful lives beyond their diagnosis or move to residential aged care. What led to the idea of NewDirection Care? It was simply from the desire to change the way we care for elderly members of society and those living with dementia. I had been growing increasingly frustrated with the traditional institutional model of care which is segregated and task-driven and doesn’t treat residents as individuals. They have little or no independence and are forced into regimented schedules of waking, dressing, eating and sleeping. This is simply not the way to live! There hadn’t been significant innovations in the industry for decades. No other industry would tolerate such inertia, yet aged care is much more important because we are dealing with people’s lives. 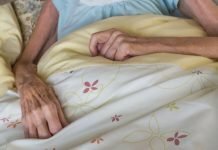 My desire to do something radically different was reinforced by research coming out of universities and Alzheimer’s organisations around the world that revealed that the traditional way of doing things is frankly nothelpful and that people living with Alzheimer’s can thrive when given their freedom and independence. They do well when they have some control over their lives, are part of a community and live in familiar, home-like surroundings. Understanding this channelled my thoughts into the best ways of making all of this happen. Do you think the current aged care funding model support innovation and opportunity for fresh thinking? I think we are getting there. 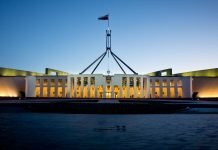 Certainly, within the last couple of years, there have been some encouraging signs coming from the Federal Government. For example, in 2017 it was announced that $34 million in funding grants was to be made available to start-ups and organisations working on innovative services within the aged care space, especially those with dementia care as a key focus. The grants were awarded to 42 projects and will cover them until June 2019. Now what I don’t know at the present time is whether there will be a new round of funding in the pipeline to further support innovative programmes. 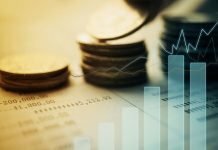 Australian Government expenditure on aged care was $18.1 billion in 2017–18 and is expected to increase to $22.2 billion by 2021–22, according to the Royal Commission into Aged Care Quality and Safety. The funding is made up of operational funding to support day-to-day services and capital financing the support the construction of new residential aged care facilities and the refurbishment of existing facilities. However, what I would like to see is ring-fenced funding for innovation across the entire aged care sector. How will NewDirection Care be different? The NewDirection Care inclusive model of residential aged care is worlds apart from traditional aged care with its one-size-fits-all approach. Our residents are treated as individuals, not one of a crowd. There are no regimented eating times, showers times, visiting times or other fixed points in the day or week that can threaten a person’s autonomy. We respect the right of individuals to make their own decisions. Within each home residents can even choose to help with the preparation of meals all of which are enjoyed family-style. Our residents have the freedom to enjoy prior to diagnosis (albeit within a safe and secure environment) so they can access outdoor spaces when they want, mix with the wider community and get up, shower and eat when they prefer. They live according to their own schedules. In traditional institutions, life seems to stop for residents once they enter the facilities but at NewDirection Care people with dementia are not defined by their condition. They don’t have to stop doing what they want to do and so many continue with their favourite hobbies and pursuits or start up new ones. Among the other key differences are the House Companions who wear everyday clothes, not uniforms and who provide assistance and support, operating around residents not dictating to them. What have been the biggest hurdles in launching this new concept? There are a couple that spring to mind. The first is that there really hasn’t been a lot of support from within the industry. There are some people who have been and remain incredibly supportive of everything we are trying to do and are interested in our model of care. But then there are others who want us to fail because success is proof that the industry itself has to change and not operate the way it has always done. I suppose this shouldn’t come as a surprise. There are always going to be people who are resistant to change no matter what industry you work in because it is too much effort for them to break the status quo. The other hurdle I want to mention is that to make our small-scale living concept work we needed to radically rethink and reinvent the staff model which is very task-focused. We had to break away from it completely which we did by inventing the multiskilled role of the House Companion. Our House Companions support residents as part of the family unit of each home and help with daily activities as needed. This was also a challenge initially because staff applying for positions had no reference points as the role hadn’t previously existed. However, we have devised a demanding assessment process and a five-week induction programme to train them. 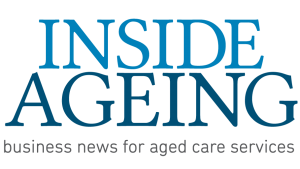 Do you think female leaders in aged care face unique challenges? Yes, I do but, in my opinion, they are not specific to this industry. They are exactly the same challenges that female business leaders experience in many work environments. Among the biggest challenges are the difficulty of finding enough time to build a business because of family commitments, problems sourcing financing because women are sometimes not taken seriously. The misconception persists that only males can make effective business leaders. I often hear stories of women attending trade shows and being overlooked by potential business partners or clients who assumed that a man standing at the booth was the person in charge. And even though we live in a so-called enlightened age earning respect in male-dominated industries can still be a struggle. Other challenges exist because women can be their own worst enemies. This is due to several factors, from a lack of confidence and not speaking up to a fear of failure and downplaying accomplishments because of concerns of being seen as boastful. There is also the problem of imposter syndrome, that no matter how great their achievements some women feel they don’t deserve them. How can these challenges can be overcome? With regards to gender stereotyping women are of course capable of great things and the way to change outdated thinking is for more women to step up to the plate. The more they do this the more common it will become to see female business leaders, and consequently, public perception will change over time. But it is going to take more than just a handful of successful women to do this because they will just be viewed as ‘exceptions to the rule’. Not only is it crucial for women to have more role models but it is also vital that some take on mentorship roles to instil confidence in other women and help them to see their careers objectively. Mentoring helps many female business leaders conquer their self-limiting beliefs that result in a lack of self-confidence and imposter syndrome. It helps them to build trust in who they are and what they are truly capable of which in turn gives them the self-belief to strive for more and achieve their true potential. Natasha is now shortlisted for Telstra’s National Business Woman of the Year Award, to be announced 16 May 2019.